Did you catch how clear these verses are? Do NOTHING out of selfish ambition. Whew! Now that convicts me! I think most of us want to be patient and self-less people and in theory, we know these are attributes of followers of Christ. This is not news to us, but I wonder if you, like me, ever struggle with actually living it out in your daily life? Too many times I look out for my own personal interests instead of the interests of others. It is as if MY time is more valuable than someone else’s time. The other day, I stopped by Wal-Mart on my way home from work, just to pick up a few items. I only needed THREE things. Of course it was a Monday and of course it was getting close to 5:00 pm. Looking back, I realize maybe this was not the best idea I had ever had, but regardless of my lack of judgment, there I was. I was making great time zipping through the aisles UNTIL I went to checkout. I made a quick pass through and examined the checkout lines. 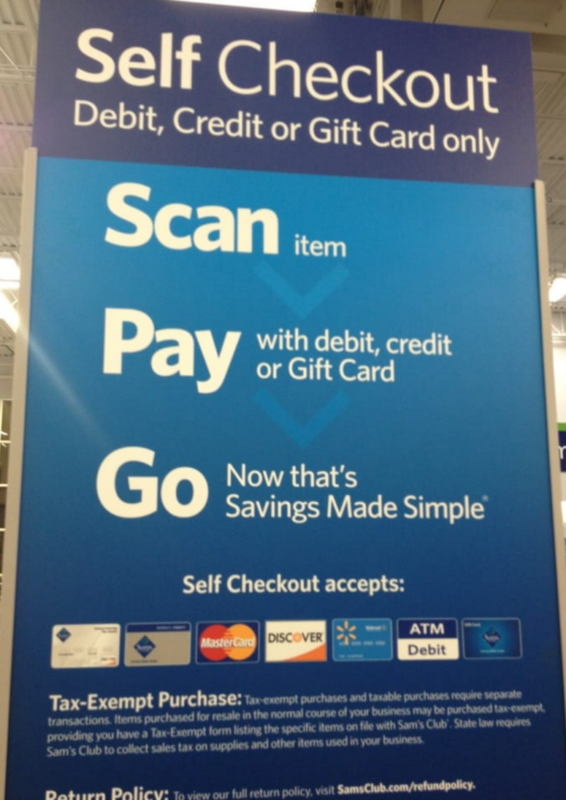 The self-checkout line seemed to be a mile long. I noticed a lady wearing strappy red shoes at the end of that line and I felt sorry for her. I quickly went to find a faster, full-service line. As I quickly pushed my buggy along the aisles, I found a checkout line with only one buggy in it! I jumped in behind a young lady and her toddler and waited. This lady’s buggy was full, but I felt sure it would go fast. As I waited, I watched as the young lady in front of me was having trouble with her toddler misbehaving. The toddler was picking up items and dropping them one by one. I found myself getting irritated because it was slowing down the checkout process, but I remained positive and still felt sorry for the lady with the red strappy shoes in the one-mile self-checkout line. As the young lady’s last items were scanned, I felt happiness in my heart until the young lady dug around in her purse and whipped out a stack of coupons. I resisted from letting out a loud sigh of despair, but I could not hold back the look of disappointment that came to my face. The cashier started scanning each coupon and of course some of the coupons did not work. Some were out of date. Some were for products the young lady did not even purchase. Some had restrictions on them. One by one the coupons were scanned and I was relieved when the last one beeped with success. After trying several times to get the card processed, the cashier had to call for the manager to come over and help. As I looked up, the lady with the red strappy shoes (who was in the mile-long self check-out line) was exiting Wal-Mart with her paid items. I mumbled under my breath and made a mental note to always choose the self-checkout line. It was too late for me to change lines now. I was stuck. It had been a long day and I was busting at the seams to get home. I was frustrated. I was tired. I just wanted to leave Wal-Mart. It was then that I felt God’s Spirit speak to me. Through my frustration and impatience, God reminded me of those verses in Philippians about valuing others more than myself. My heart began to soften and my frustration faded. As I watched the young lady struggle with her toddler, God reminded me about how hard life is. He brought to my mind how difficult it was for me to complete a Wal-Mart shopping trip when my children were toddlers, and how being a Mom is one of the hardest jobs in the world. As I watched the cashier desperately try to process the young lady’s credit card, God reminded me of my first cashier job in college. I, too, felt insecure when something went wrong with the credit card machine. I thought back to the time I meant to charge a customer $15.00 but instead, I charged them $150.00. I was so nervous as I called my manager over to help me correct my mistake. Right there in the checkout line at Wal-Mart, God convicted me about my attitude and He reminded me of the importance of showing compassion, patience and kindness. I believe one of the biggest “proofs” of our faith is how we treat other people. When we get frustrated, complain or mumble, we do not please God. What pleases Him is when we use kindness and patience with others. He is pleased when we put someone else’s needs above our own. The truth is, I had a bad attitude and was in too big of a hurry that day in Wal-Mart. I am grateful the God of the Universe spoke to me and reminded me of His Truth. The next time you find yourself in a situation where your patience is running thin, I hope you think about these verses in Philippians. I hope your heart softens and you show the love of Christ in that situation….even if you’re in the middle of Wal-Mart! This is hilarious! All of us can relate to this. I will definitely think about this the next time I’m in Walmart. Thanks for being real, joy. I have been the frustrated, selfish shopper. Thanks for the reminder. Loved hearing you at the women’s conference this weekend! !